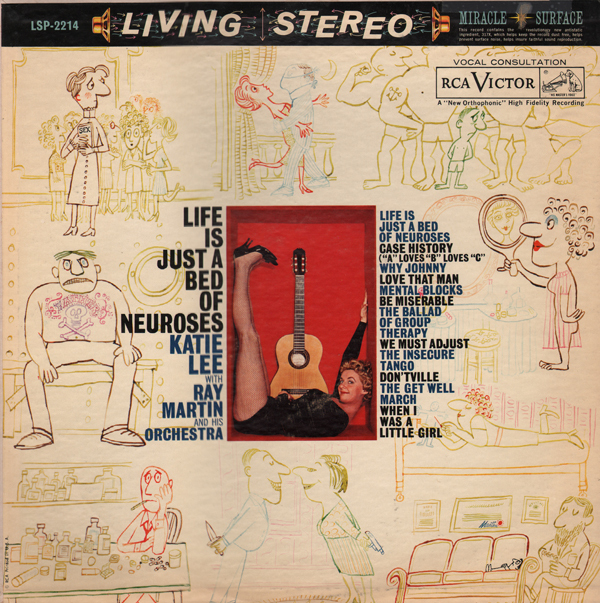 Oh man, (too) bad, this LP is available on a CD. 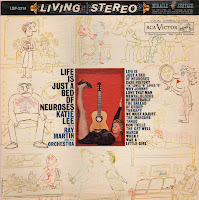 A CD that feature 35 Lee tunes (tunes from this album and Songs Of Couch And Consultation) so I will not be posting a sample. 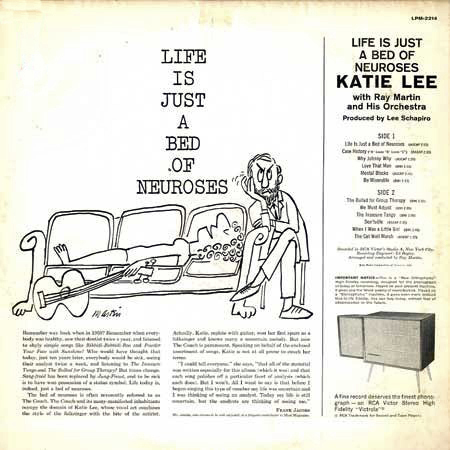 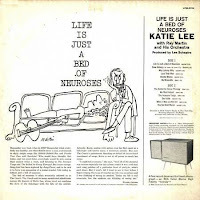 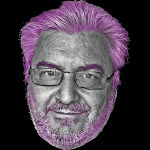 0 comments on "Katie Lee & The Ray Martin Orechestra - Life Is Just A Bed Of Neurosis 1960"